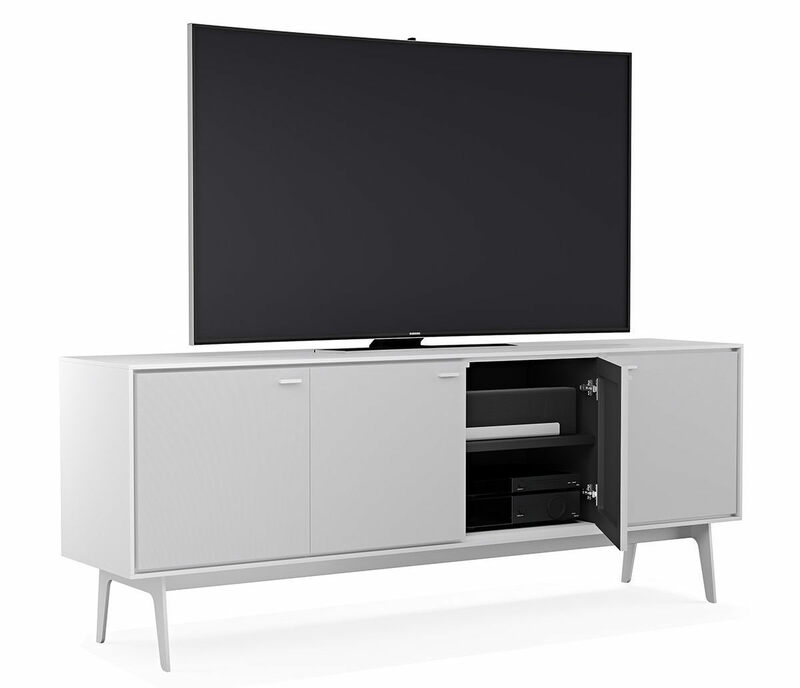 BDI just released a stunning, satin white media console for the modern home theater. 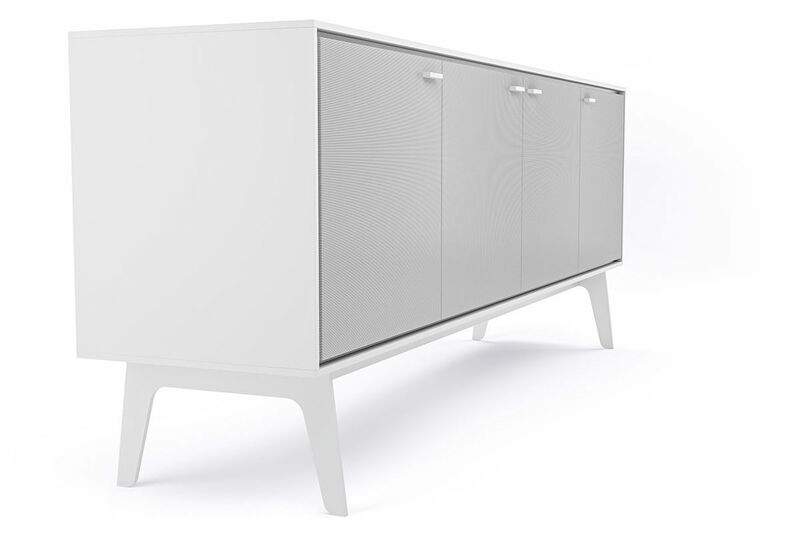 The new BDI Flo 7279, designed by Matthew Weatherly, is part of the company’s “hidden sound” cabinet series. That means both sound and infrared (IR) remote signals can evenly pass through its acoustically transparent doors. So, there is enough space to conceal a sound bar (up to 38-inches wide) and plenty of A/V equipment. 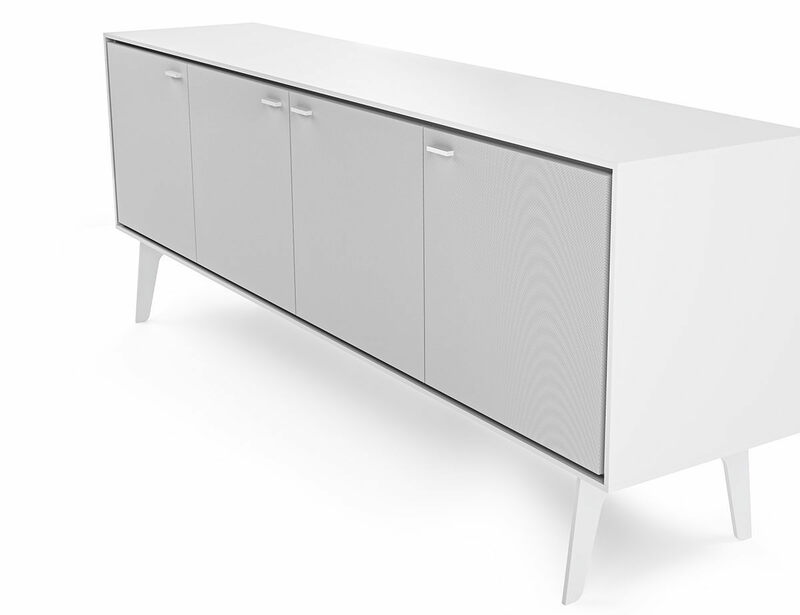 The BDI Flo 7279 is an all-white, four-door media cabinet with perforated steel doors. It can accommodate speakers inside it that are up to 38-inches wide and 19-inches tall. There’s ample room on top to place a TV up to 85-inches in diagonal. The console includes adjustable shelves, removable back panels for easy access to the rear of components, integrated cable management, and flow-through ventilation to keep things cool. In short, it’s both functional and elegant. 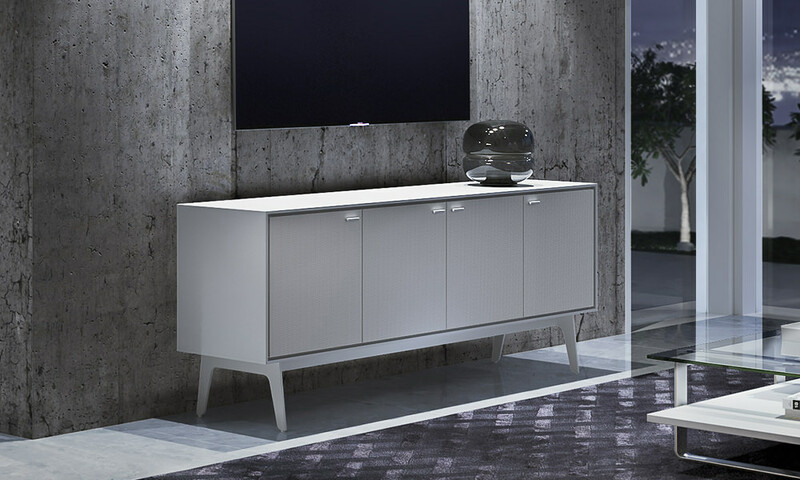 The BDI Flo 7279 media cabinet only comes in a smooth satin white finish and is now shipping nationwide for about $2,200. Check your local BDI retailer for price and availability. BDI is a premier designer and manufacturer of innovative home furnishings. Guided by the philosophy that everything has its place, BDI furniture combines original design with innovative function to seamlessly integrate technology into the home and office environments. Collections include media furniture, home entertaining, office solutions, modular storage systems and more. BDI products are available through leading furniture and electronic retailers throughout the United States, Canada, and abroad.